One of the foodie blogs that I love to read is Serious Eats. It is an amazing source for food thoughts and food recipes and restaurants all over the country. I was reading an article about beer pairings with Mexican food and this recipe was posted in the article. It is for beef enchiladas that also have this sort of chile gravy sauce. 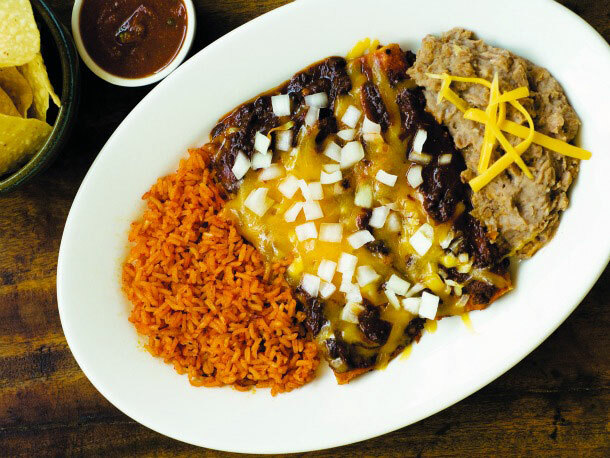 Actually the enchiladas are cheese but they are smothered in this sort of chili gravy. I have linked you to the recipe here. I made them for my husband on Sunday and he loved them. They were really not difficult to make at all. 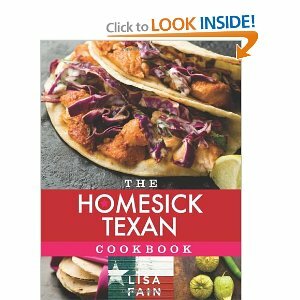 But I did notice that the recipe came from a blog I read called The Homesick Texan. She is Lisa Fain and I think she is living in NYC now and her blog has always been delightful and a tribute to the food that she loves. And now she has a cookbook!!! She has blogged about all kinds of foods from Mexican cookies to pimento cheese spread. I have loved her blog for such a long time and now I love her cookbook!!! Blogs are amazing, aren’t they? Oooh, I need to check that cookbook out! Oh, that dish looks so good! I may just have to start cooking! Thanks for the heads-up on the recipe book. Oh, that blog is making me hungry. And being sick today, spicy food like those shouldn't be so appetizing right now. Sorry Sarah…maybe some chicken tortilla soup? Laurel…it was esy and really good…you can do it!! !